Founded in 1894, Sherborne is a members club that is open to all regardless of ability. We encourage beginners to join and learn the game with our experienced Pro-Shop teaching staff as well as extending a warm welcome to golfers of all standards as visitors or members. We have a beautiful, mature 18-hole parkland course with specimen trees and stunning views over Somerset and the Blackmore Vale. Much of the course was designed by the renowned Open winner and inter-war course architect James Braid and the Club is a member of the Braid Association. there is a full length driving range with practice bunker and pitching and chipping greens Our clubhouse has well-appointed changing rooms and showers, our award-winning catering offers high quality hot and cold food and bar available all day, there is a comfortable and recently refurbished lounge and dining area, as well as folding glass doors that give access to the terrace and show stunning views across the course and over much of Somerset to the Mendip and Quantock hills in the far distance. As well as traditional full membership, there are beginners and academy memberships and other forms of membership to fit with modern lifestyles, low cost Junior memberships for the under 18s and reduced cost Intermediate memberships for those under 30 years old. Our Pro-Shop has become the informal information hub for members and visitors alike and the friendly helpful staff will guide visitors and assist members to get a game, improve their golf and get the most enjoyment of the time they spend with us. 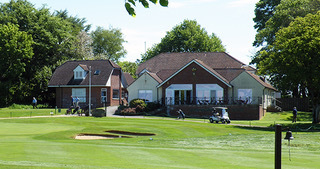 We look forward to welcoming you to Sherborne Golf Club!